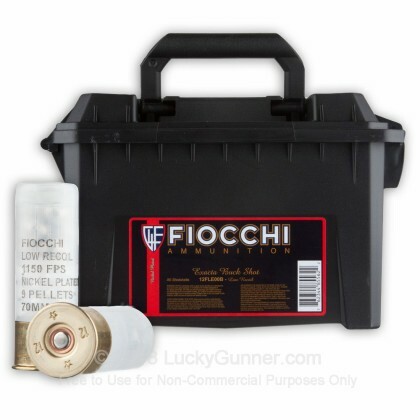 Fiocchi's 12 Ga Law Enforcement 00 Buckshot is now available in a portable Plano ammo can with 80 rounds per can. 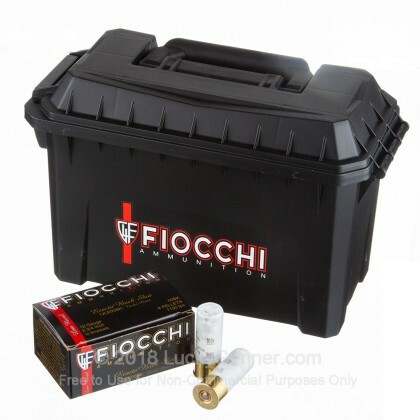 This product is targeted at the law enforcement community as swat units don't want to leave their buckshot stored in a vehicle that has wild temperature deviations sitting in the sun as this can deteriorate ammunition. Instead, this product comes in a fashion which is perfect for rapid deployments so that you can store it indoors and quickly grab it when the game is on the line. This LE low recoil load allows LE operators to make quick successive shots with minimal muzzle rise ensuring subsequent shots are on target. 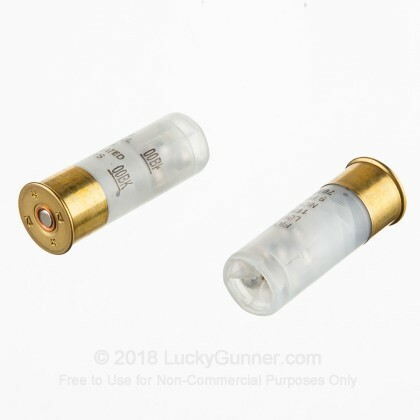 This load is designed with nickel-plated pellets for less resistance in flight as well as higher velocities for increased energy downrange and improved performance on target. Plus, the pellets penetrate deeper which causes more damage to bones and vital organs. Good price, very quick delivery and performed as expected. What else could you ask for! Ammo performs greatly, just as I expected it to. Like the round! Great Q.plan to purchase more. I shot off a good amount of my ammo and loved every kick of it. Great value --preforms as expected Super self defense round with my Mossberg Road Blocker. Excellent delivery and as promised. 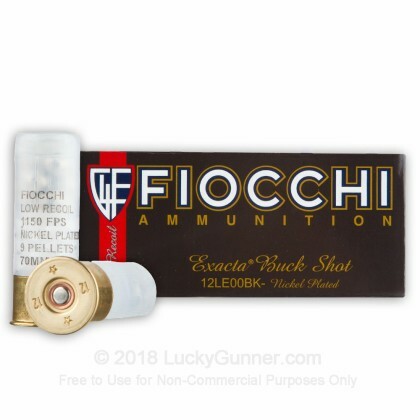 Thanks" Lucky Gunner"
I had been putting standard 3 inch 00 buck shot through my "get out of my house gun", and thought "if I had to shoot this in the house it would practically be a flash band grenade and would be very disorienting, so naturally I had to test it, deafening (enclosed space, not in my house)." 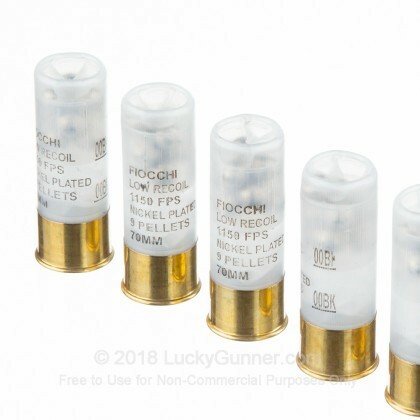 So I ordered these low recoil rounds, and it's amazing. Recoil easily reduced by half and the sound as well. If you have never shot a gun in an enclosed room before, find an old shed out of town somewhere and try it. Then you will want the least bang for your buck as well for self defense. I'll probably be ordering more in the future. LE is a big plus. 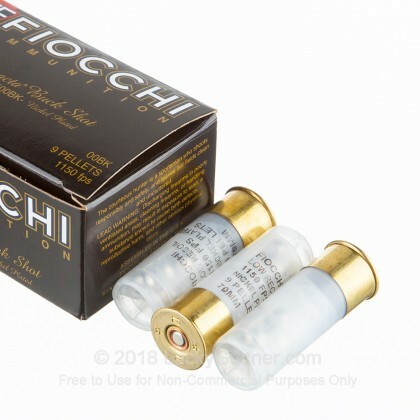 I resently bought these and I love them the recoil is really reduced and I think will be great for home defense or really anything else. My wife will now shoot my Winchester 1200 now before she wouldnt even shoot 8 shot and she thinks it is easier than that we shot the whole case already and are buying more soon. At first I thought; Geez!! Almost 90 cents a round when you factor in tax at my local store. Yes, I bought the whole case with (2) ten packs. Yes, it did average to 90 cents a round with tax ; ( Sad I know. But, getting beyond that... Wow!! These things don't mess around. I did 20 shots in sets of 5. Penetration is remarkable. Very low recoil. Excellent for home defense and law enforcement use. Plus the case they come in is nice to have at standby. 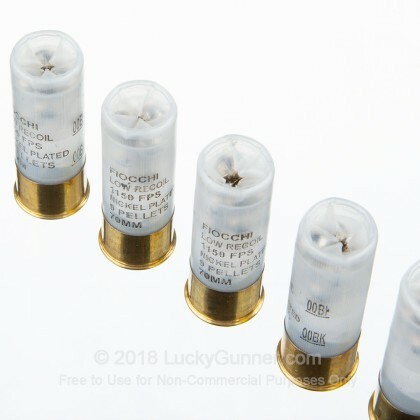 I used these in a Mossberg 500. They worked well and the muzzle jump was greatly reduced. My wife liked shooting these much more than a regular 12ga load and found them more easily controllable with repeat shots.